INFINITE CROSS. The name derives from the cross created by the visual effect of the legs rising through the table top. 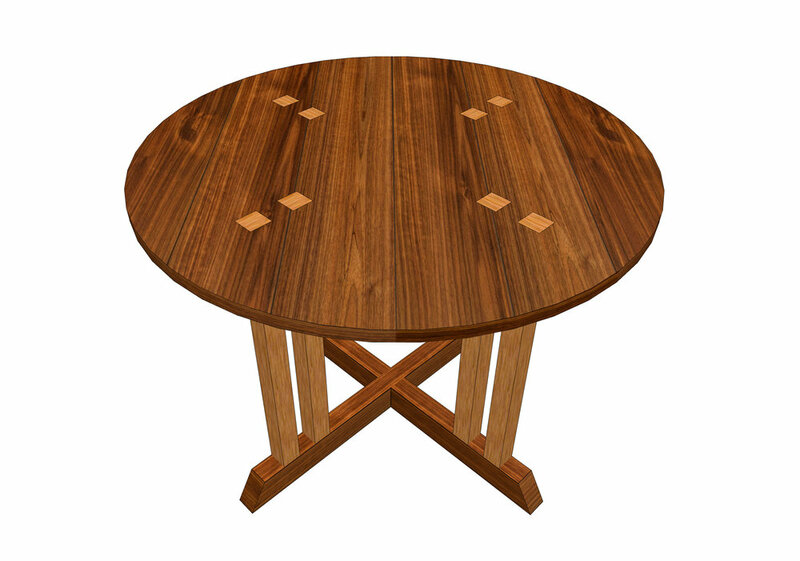 The double legs create a simple, rational and proud round table. Species: Black Walnut & Curly Maple. Dimensions: 42" diameter, 30" tall.